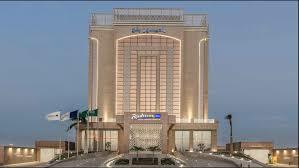 Radisson Blu Hotel is in Jeddah- Saudi Arabia.Iconic, stylish and sophisticated, Radisson Blu creates excitingly individual hotels for individual minds. 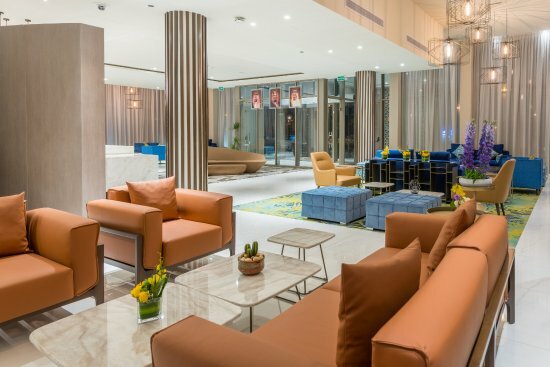 We delight our travel savvy, modern guests with a genuine, inviting ambiance. We create excitement with our stunning, leading edge design. And we strive to engage each and every guest through our innovative and very relevant range of holistic facilities and services, including fast Free Internet. We’ve packaged it all neatly together, with our unique Yes I Can!SM service ethos and our 100% Satisfaction Guarantee. Radisson Blu features 380 unique hotels, open or coming soon, in the world’s most desirable destinations: dynamic major cities, nearby airport gateways and in the most sought after leisure hotspots. It’s a perfect equation that adds up to a highly individual - and unforgettable – 360° hospitality experience, unrivalled anywhere in the world today.